Double CD compiled by Eddie Kelly, culled (mostly) from the Pye vaults. 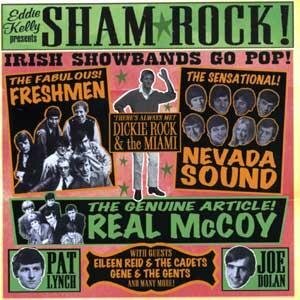 Does this compilation make the case for the showbands as sixties pop? On balance, no, it doesn't, unless you stick firmly inside the cabaret/entertainer world of Cilla Black et al. And some of the material is rubbish, quite frankly. Easy listening crooners and 50s rock'n'roll lite don't cut it - sorry - but there are a few good tracks.